Andersonville was the most notorious prison camp of the Civil War. Following the slaughter of black Union Troops at Fort Pillow in Tennessee, President Abraham Lincoln demanded that black prisoners be treated the same as white prisoners. Confederate President Jefferson Davis refused. As a result, Lincoln ordered an end to prisoner exchanges. This meant more prisoners would be held by each side throughout the war. Known in the Confederacy as Camp Sumter, the Georgia-based prison was constructed by slave labor during December 1863 and January 1864. Designed to hold 10,000 prisoners, more than 20,000 had arrived by June. In August, more than 33,000 were being held there. 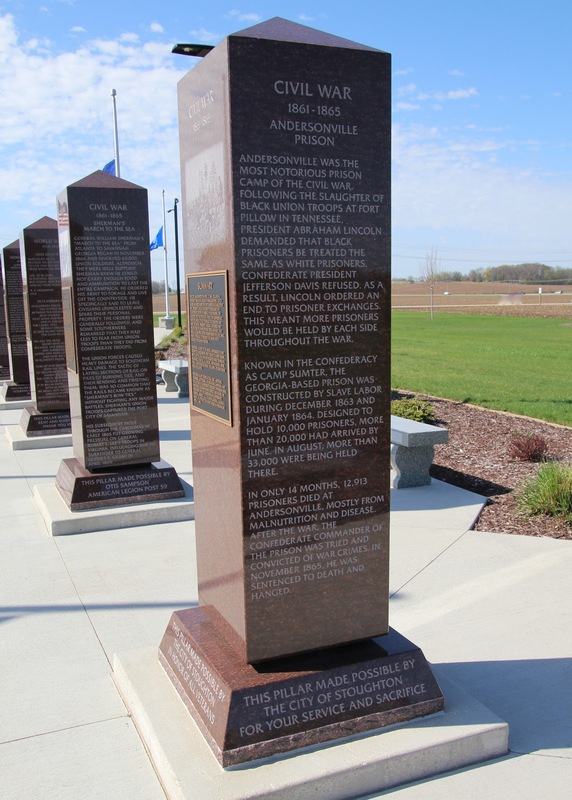 In only 14 months, 12,913 prisoners died at Andersonville, mostly from malnutrition and disease. After the war, the Confederate Commander of the prison was tried and convicted of war crimes. In November 1865, he was sentenced to death and hanged.